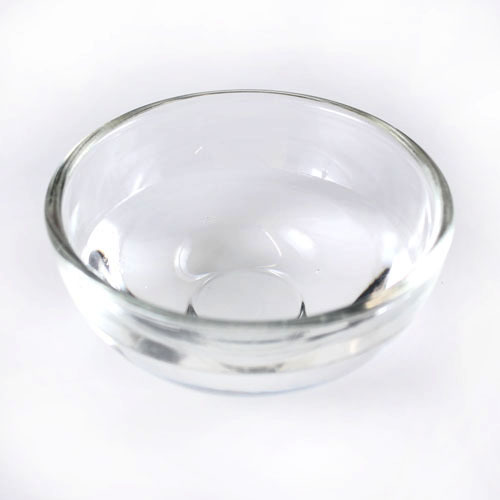 ONE: In a heat-safe container, add 15 ounces of distilled water. 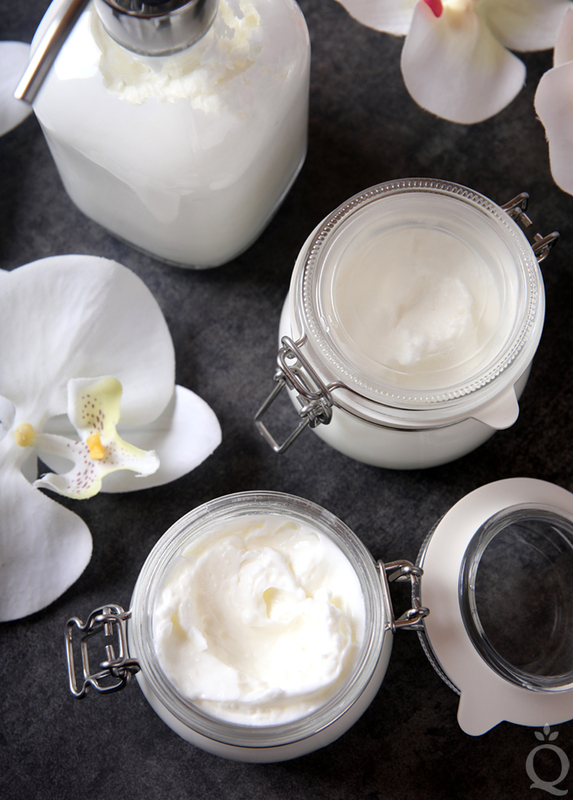 Heat in the microwave on 1 minute bursts until the water is about 160-180° F.
TWO: In a separate heat-safe container, combine 2 ounces of jojoba oil, 1 ounce of orchid extract, 1.2 ounces of Polawax Emulsifying Wax, and 0.4 ounces of BTMS-50. Heat the mixture in the microwave on 30-60 second bursts until the waxes are fully melted and the mixture is about 160-180° F.
THREE: Check the temperature of both containers. Each one should be about 160° F. When they’re ready, tap your stick blender on the bottom of the bowl to release bubbles. Pour the oils and wax into the water and begin pulsing the stick blender. 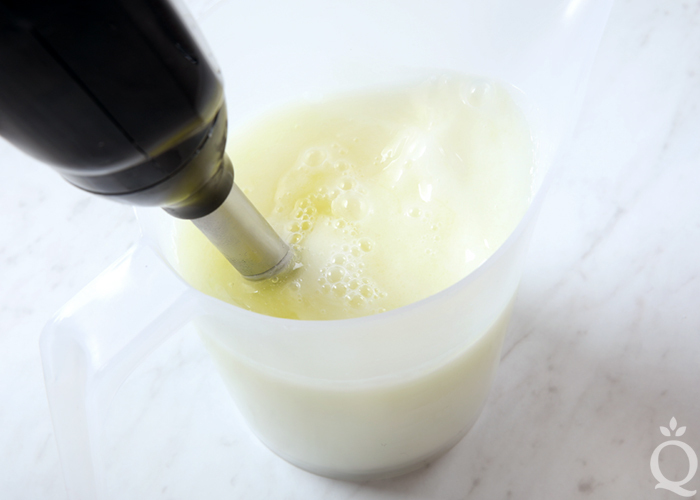 Blend the mixture for 60-90 seconds, making sure the oil and water phases are fully emulsified. FOUR: Continue stick blending until the temperature drops to about 130-140° F. Add 0.2 ounces of Blushing Orchid Fragrance Oil and 0.2 ounces of Optiphen. Stick blend for another 60-90 seconds to fully combine. FIVE: Carefully pour the lotion into the containers. Let the bottles sit overnight without a cap to prevent condensation. Once completely cooled, place the caps on the bottles and enjoy. This lotion feels thick and luxurious on the skin. In a heat-safe container, add 15 ounces of distilled water. 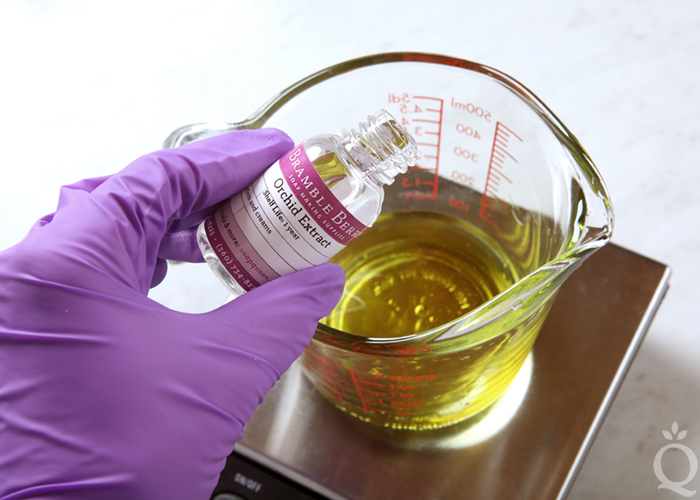 Heat in the microwave on 1 minute bursts until the water is about 160-180° F.
In a separate heat-safe container, combine 2 ounces of jojoba oil, 1 ounce of orchid extract, 1.2 ounces of Polawax Emulsifying Wax, and 0.4 ounces of BTMS-50. Heat the mixture in the microwave on 30-60 second bursts until the waxes are fully melted and the mixture is about 160-180° F.
Check the temperature of both containers. Each one should be about 160° F. When they’re ready, tap your stick blender on the bottom of the bowl to release bubbles. Pour the oils and wax into the water and begin pulsing the stick blender. 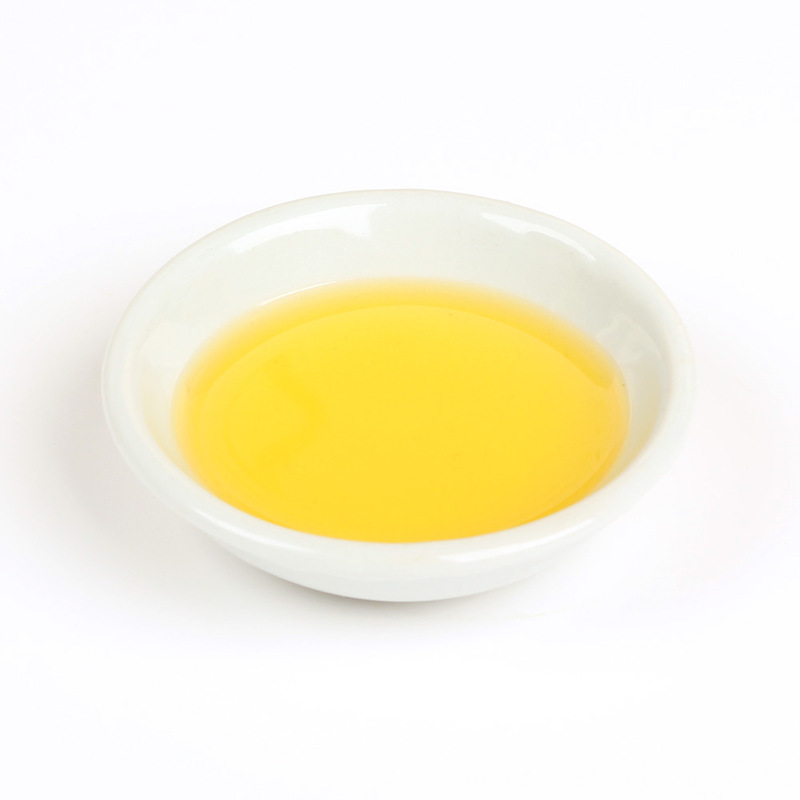 Blend the mixture for 60-90 seconds, making sure the oil and water phases are fully emulsified. Continue stick blending until the temperature drops to about 130-140° F. Add 0.2 ounces of Blushing Orchid Fragrance Oil and 0.2 ounces of Optiphen. Stick blend for another 60-90 seconds to fully combine. Carefully pour the lotion into the containers. Let the bottles sit overnight without a cap to prevent condensation. Once completely cooled, place the caps on the bottles and enjoy. What is the difference between the Polawax Emusifying Wax & the BTMS-50 Emusifier? And why should they both be used rather than just one. Having two emulsifiers helps keep the emulsion from breaking. 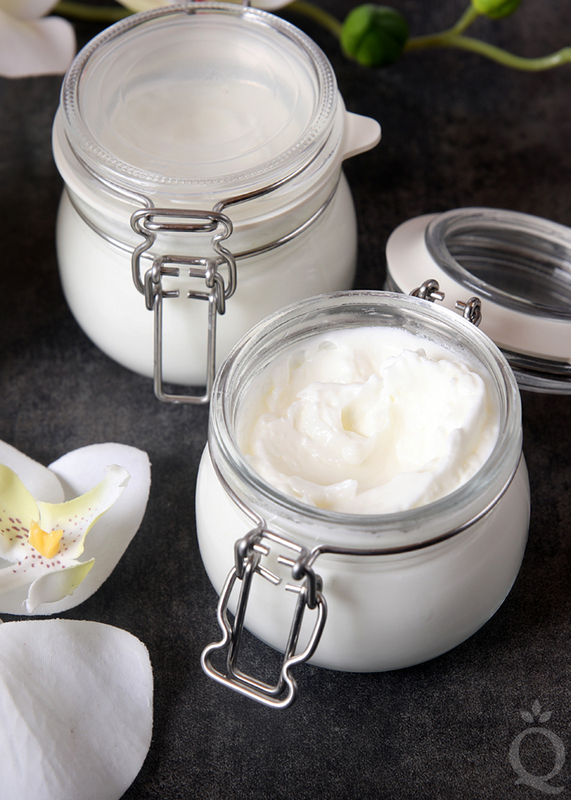 The BTMS-50 adds conditioning properties which make the lotion feel silkier and nicer when you use it, the Polawax is the helper and keeps everything together. i have a question. i just made a few batches of lotion and 2 of the 3 batches are separating! I used 5% emulsifying wax and 2.5% steric acid. I see that % is too low. I dont know why my recipie was off. What do i do now? Is there a way to salvage it? Or do i throw it out and start new? Unfortunately besides reheating the lotion and potentially ruining the preservative there is not much you can do with that separating. If you were going to reheat it though I would recommend melting down some more emulsifying wax in a little bit of oil and adding that into the reheated base before blending it back up. Can the water amount be reduced to make it thicker like a body butter? Or would that change all the other percentages as well. 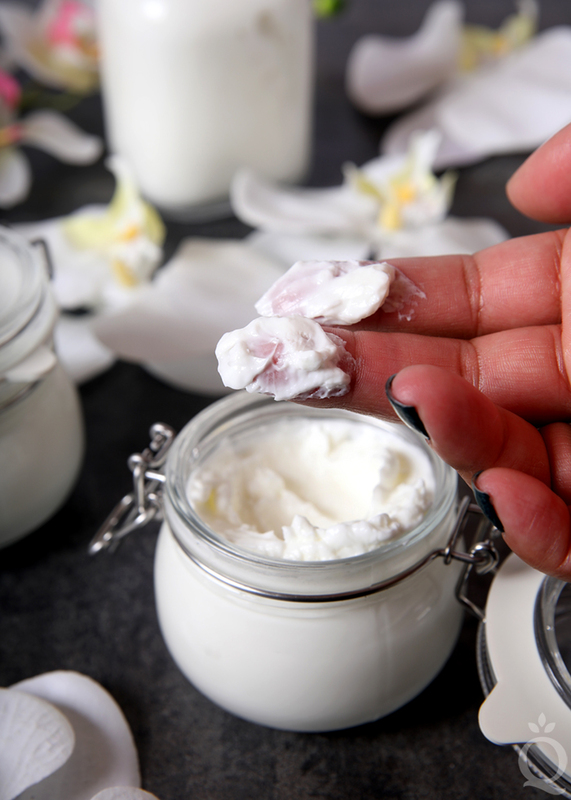 You can definitely reduce the Distilled Water amount for a thicker lotion, more similar to body butter. Your overall percentages will change but you shouldn’t have to adjust anything. I would double check your Optiphen amount is not about 1.5% in the final totals since that is the maximum recommendation. Instead of using jojoba oil, could I melt down shea or cocoa butter to use in place of it ? No, but meadowfoam oil makes a great replacement for jojoba. I thank you from the bottom of my heart for sharing the recipie so that others can learn and spread the the health!!!!!!! i wish you so much luck in what you do! Youre terrific!!!! I wanted to know if the recipe can be used without the orchid extract. Sure, you can use a different extract instead or just remove it entirely. You can add Mango Butter to this recipe, though it would change the final consistency and most likely make it thicker. I would recommend making a small batch to test different amounts and make sure you like the results. I do love this lotion, but wanted to change it up a bit just to try something different. Not brave enough to just try it without asking first : | Can I use argan oil instead of the jojoba oil? Also, I see BB has a lot of different extracts. Can I just pick a different one to change up the orchid extract (except the grapefruit extract)? Or, how would it work if I used jojoba, argan, and meadowfoam oils (no extract) as long as I kept them all within the 15% range? Thanks for your help! I would like to know if I can add vitamin c by 20% . Maintain the same amount of water but it would solve in this vitamin C. And in the part of the oils add 1 % of Vitamin E. I would also like to add a little; but not that portion of hyaluronic acid. As I can do is mix. I have read on some pages say that you can not mix vitamin C powder with oils; nor the hyaluronic acid the latter is already in gel phase. On another page if I say I can mix vitamin C with vitamin E and then add jojoba oil. We have not worked with vitamin c or hyaluronic acid before so I’m not sure how it would react in this lotion. You can add Vitamin E at 1% to the oil phase of your lotion. 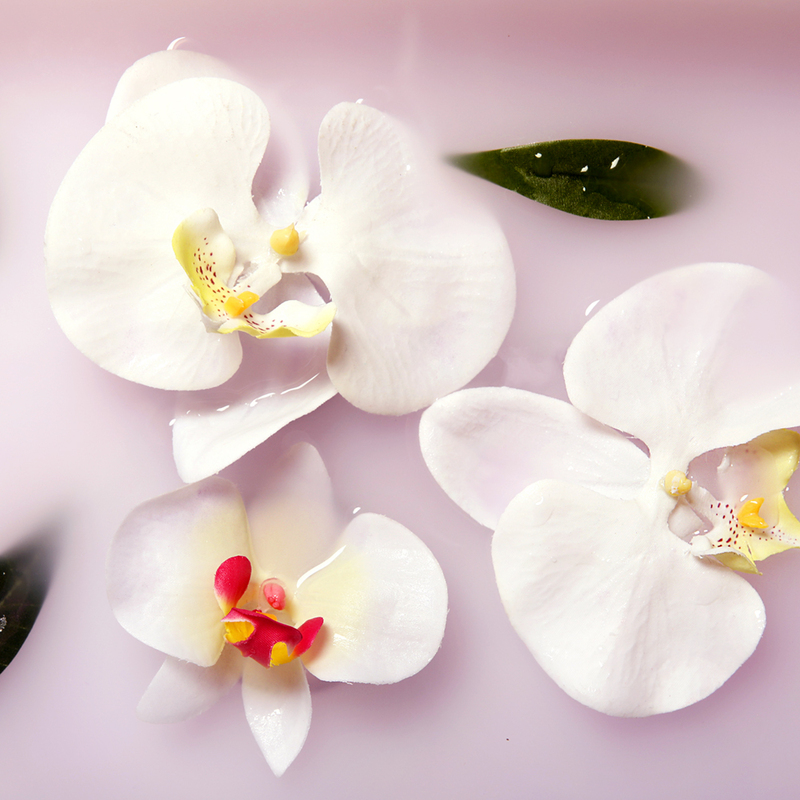 We have not tried adding the Orchid Extract to the cool down phase but it should work. I would recommend making a small test batch to make sure there isn’t any problems with separation. I also have no idea how to calculate the percentage. Please if possible, I would love some guidance. I have everything to make my lotion with the exception of preservative! The recipe is as follows (I saw where the recipe was provided for more information). I hope this helps! Otherwise, I typically make most recipes with oils or butters only. Its the water in this that concerns me. I appreciate any help! To calculate the percentage you would add up all your ingredients to get the total, then you would take each individual ingredient amount and divide it by the total. As for Optiphen vs Optiphen Plus, we only offer Optiphen and Optiphen ND so my knowledge of current Optiphen Plus is not accurate. You should be just fine with Optiphen in this particular recipe. Does orchid extract contain alcohol. The Orchid Extract does not contain alcohol. Find the ingredients on its product page. In order to make it thinner, you can reheat it and add a little more water. The water is at 75% now, and it can be up to 80%. Reheat it up to 140 degrees, add some more distilled water and stick blend for another 3-5 minutes. Thank you for this wonderful recipe. I made it twice the first once came out perfect, the second time the liquid separated in the bottom of the container and cream on top while cooling. Can this be blended back together? It can be. 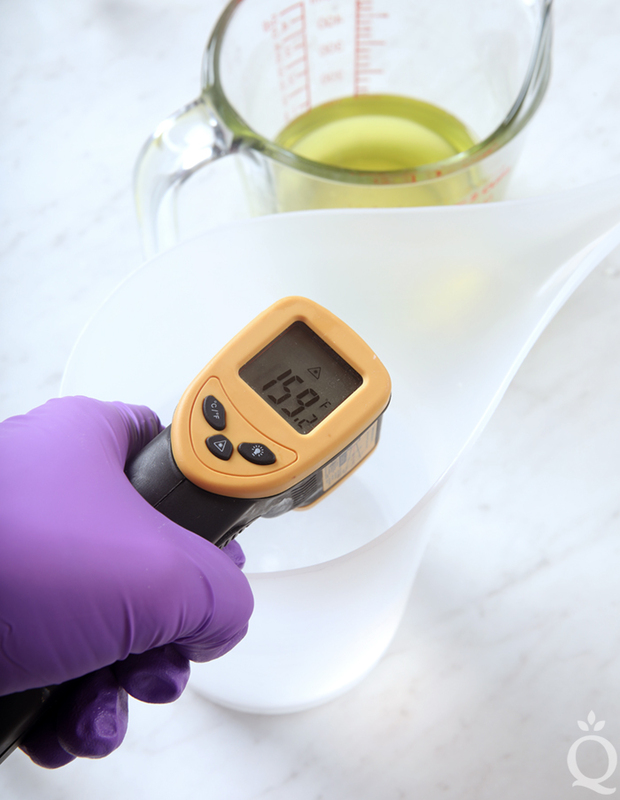 Heat the lotion to around 140F (don’t go higher or the preservative can degrade). Then, stick blend for another 3-5 minutes to ensure everything is emulsified and pour back into bottles. Kelsey, I had a partial jar left of both of the batches I made and sold so I kept them for my own use. I have now gotten to the bottom of the jars and found that my lotion has also separated. What caused this and how can I prevent it in future batches? 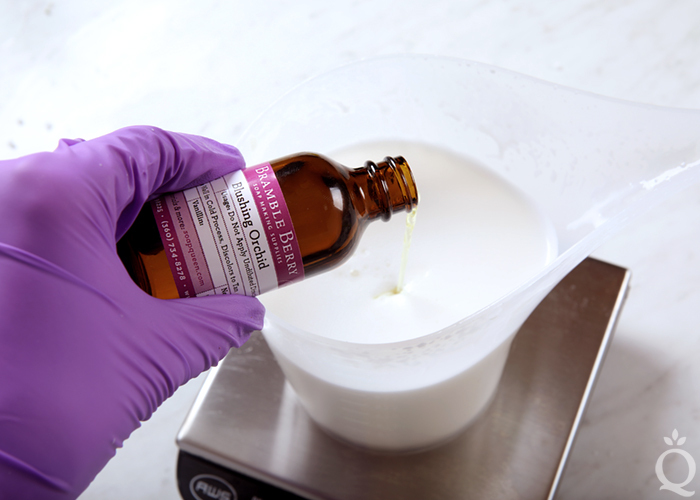 When you’re making the lotion, you’ll want to stick blend for 3-5 minutes. Then, leave the lotion in the bowl for 5 minutes or so. 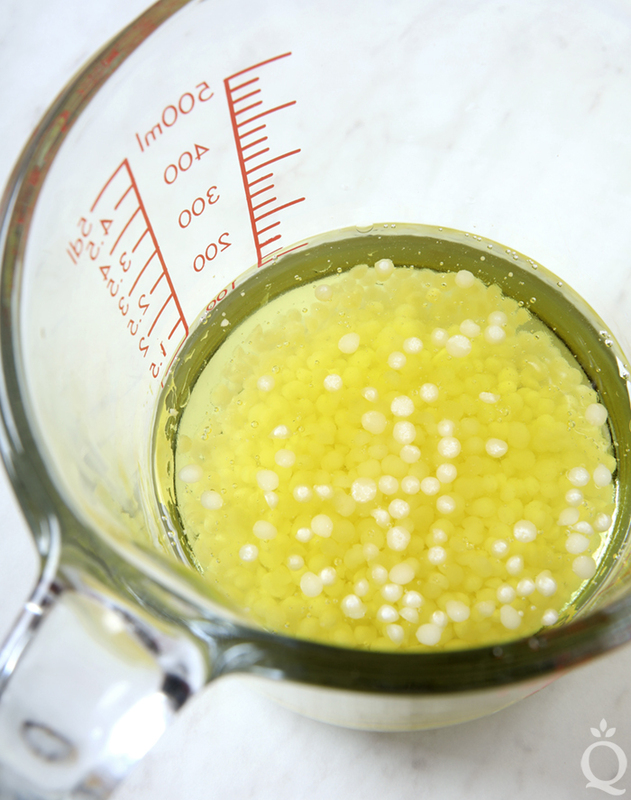 If you see any separation, blend for a few more minutes to ensure everything’s emulsified. I made one recipe just as written and a second recipe with Baby’s Breath FO with Lotus Flower extract. I took them to the Farmers Market and sold all but one jar. The customers loved them! Thank goodness I had one jar left so I could send it to my mom for Mother’s day! I’m using it and my nails are finally growing! It feels and smells great and my customers love it. I love how it moisturizes well but doesn’t feel greasy. I will make more for next month and make some with Daisy Chain and Wild Rose to keep with the floral theme. Thanks again, Bramble Berry for making wonderful products and giving us great recipes to use them in. Keep them coming! Absolutely, so glad this lotion sold well Lynette. Thanks for taking the time to leave this comment – it really means a lot to us. What is the shelf life of this lotion ? This lotion has a shelf life of at least a year. It stores best in a cool, dry place. Yesterday I finally ginned up the courage to make lotion using this formula. It truly is easier than I’d expected, the most challenging was ensuring my water and oils cooled at the same rates of speed. Since I didn’t want to create then gift 8oz bottles of my first go, I ordered the 4oz. My funnel barely fit the opening and I ended up with mini eruptions. I know next time to tamp the bottles as I fill them to avoid trapped air pockets lol. 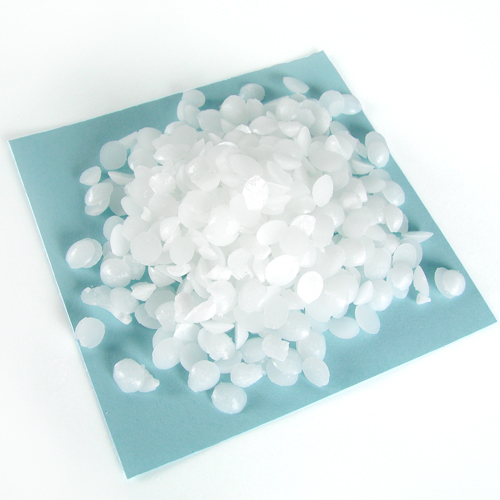 You can use emulsifying wax and stearic acid. You can use e-wax at 3-6% and stearic acid at 3-5%. That will help the lotion stay together and the stearic acid helps thicken it as well. As far as the germall, we haven’t worked with it so I’m not sure if it can be added to this recipe. I would recommend contacting the manufacturer to learn more. 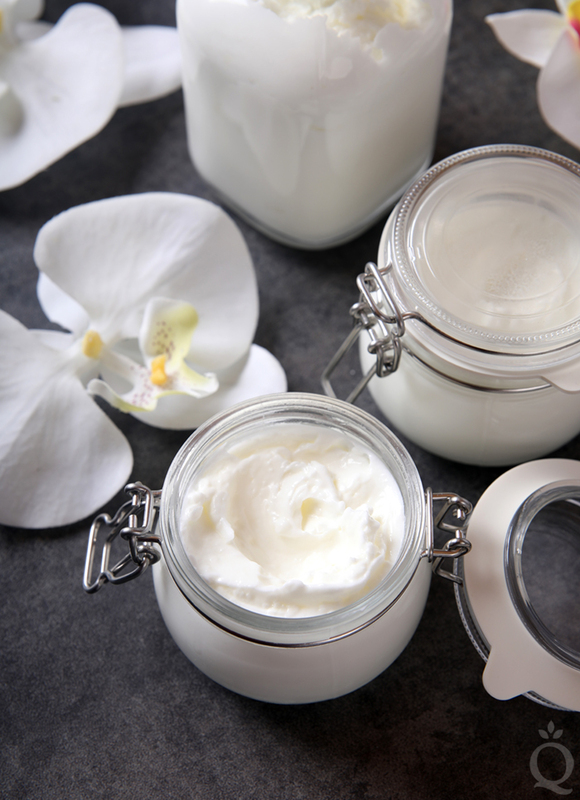 Will BTMS-50 work as a co-emulsifier with e-wax? Can this recipoe be used in your pump bottles? Yes, this recipe will work in the pump bottles or disk top bottles. It looks great. Please, instead of fragrance, what essential oil do you recommend? You can use any essential oil that’s safe for leave-on products. Lavender, litsea, or chamomile would smell really nice. Can one add a touch of purple Brazilian clay for a soft purple color or would the clay’s absorptive properties make it too thick? I’m not talking massive amounts, just enough to give a very soft pale purple tint. A small amount of clay should be fine. Start with about 1/8 tsp. and go from there. I would recommend mixing that with the fragrance oil to prevent clumping. Hi can I use the Orchid Extract in my body butter? If so how much? Yes, that will feel nice in body butter. You can start with about 1 teaspoon per pound and go from there. I have the emulsifying wax but not the BTMS-50. Just received my last order this past week, so would prefer to wait to order. 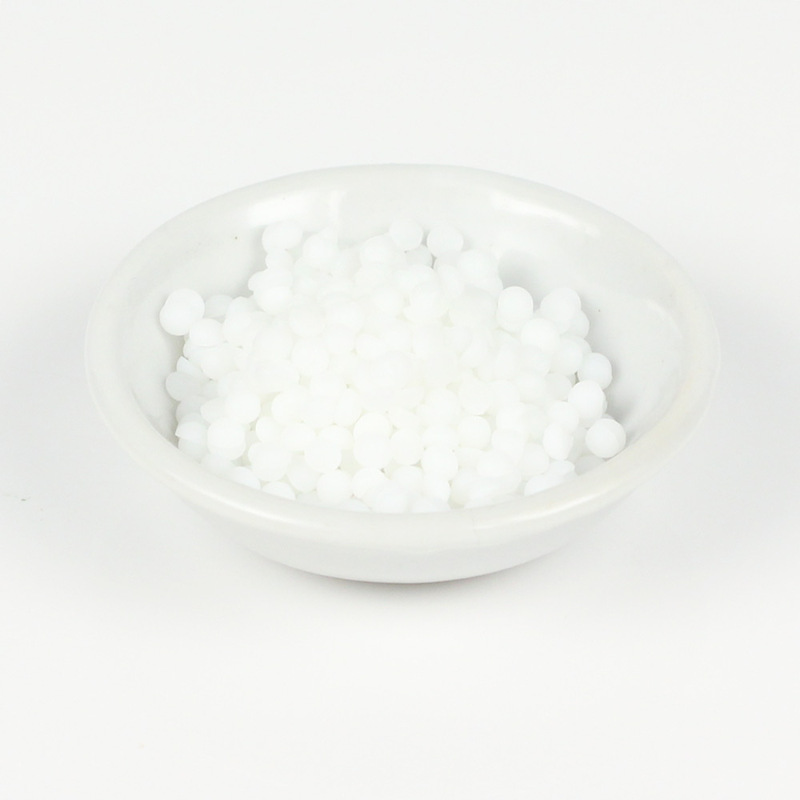 Can I simply leave out the BTMS-50 or replace with additional emulsifying wax to equal total amount of waxes? 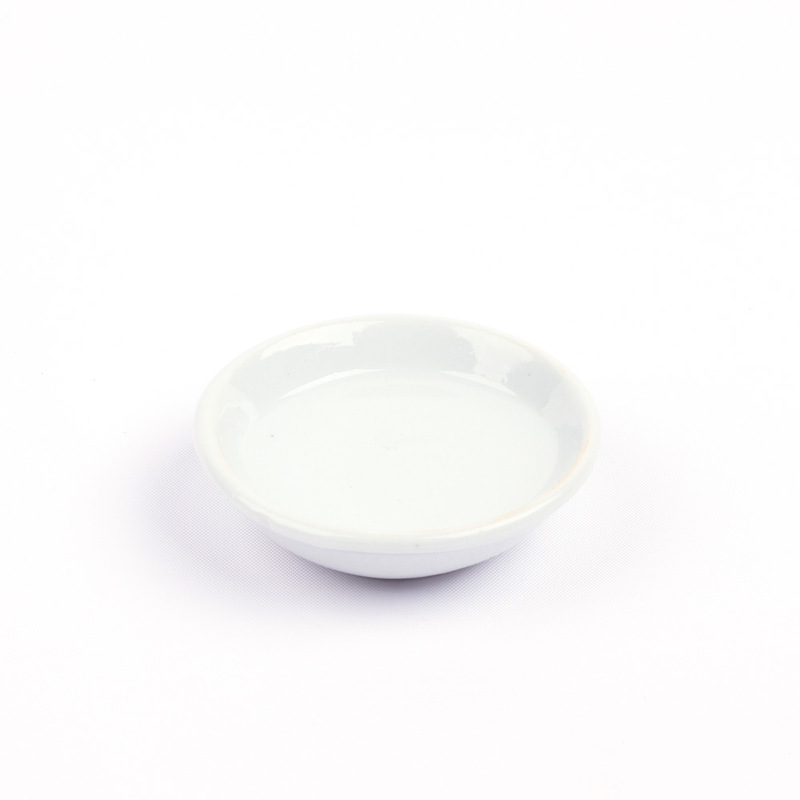 You can use the Polawax on its own, but we also recommend a co-emulsifier. They help stabilize the lotion so it stays together. You can use something like stearic acid or cetearyl alcohol at 3-5%. 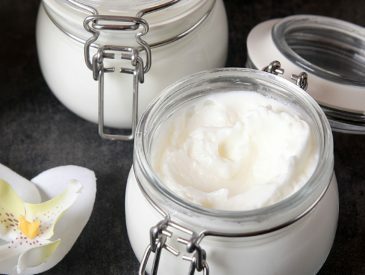 I have gotten use to Grams or Ounces for all my Soap Recipes and would prefer to have this lotion recipe in Grams or Ounces. I can change Percentages to Grams or Ounces with the on-line Calculator or SoapCalc? The recipe is in ounces. Review each step in the printed recipe. This looks nice and luxurious. As it is quite thick, does it leave a greasy feel like a lot of body butters? With winter just around the corner I would like to make this but unfortunately don’t like the greasy feel of most commercial body butters. Could the recipe made to be a little thinner consistency? This recipe is thick, but the oils in it are lightweight and absorb quickly. We find the lotion doesn’t feel greasy on the skin. You can increase the water up to 80% if you like, but you may try the recipe as is in a small test batch first to see what you think. Hi Kelsey, if I increase the water to 80%, what do I reduce in order to make up for that additional water? Can I use BTMS-25 instead? I’m not sure, we haven’t tried that product in this recipe. You may want to contact the manufacturer to find out if it works for handmade lotion. Can you please tell us why you used both Polawax and BTMS rather than just one or the other? Thanks! We used the BTMS-50 as a co-emulsifier to help stabilize the lotion and make sure it stays together. It also adds conditioning properties. I totally agree with Eli! Please tell me where you found those adorable nail jars!! We got the pump bottles and jars from Ikea. I would like to find out if these fragrances have chemicals in them? This is very important for my grandbaby! Hi, Renee, I know Brambleberry will leave you a professional comment, but I would like add something from my experience. I used to make all soap WITHOUT any fragrance at all. I did eventually start, but I like it better without. That being said, I have used a lot of Brambleberry scents and they do NOT smell at all like chemicals in the finished product. However, if anybody in your family is sensitive to scents, it is ABSOLUTELY OK to NOT use any scents. I hope this helps! Just an idea here, do not use fragrance in items for babies. 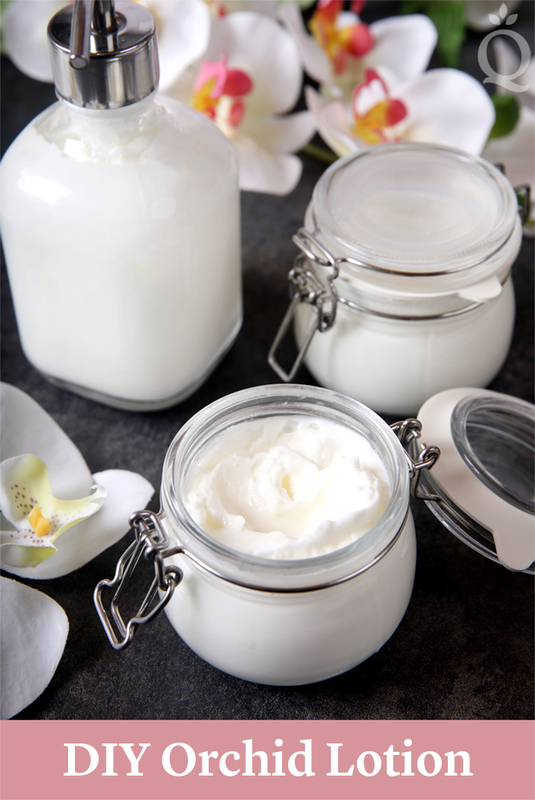 For this recipe you can leave it unscented, that’s a good option for those with sensitive skin.